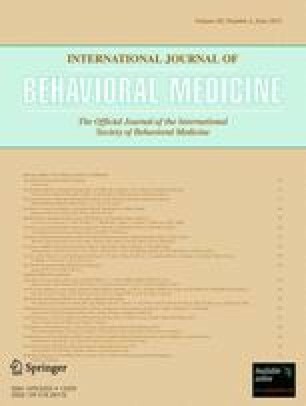 Secular Versus Religious Norms Against Smoking: Which Is More Important as a Driver of Quitting Behaviour Among Muslim Malaysian and Buddhist Thai Smokers? This paper prospectively examined two kinds of social normative beliefs about smoking, secular versus religious norms. The purpose of this paper is to determine the relative importance of these beliefs in influencing quitting behaviour among Muslim Malaysian and Buddhist Thai smokers. Data come from 2,166 Muslim Malaysian and 2,463 Buddhist Thai adult smokers who participated in the first three waves of the International Tobacco Control Southeast Asia project. Respondents were followed up about 18 months later with replenishment. Respondents were asked at baseline about whether their society disapproved of smoking and whether their religion discouraged smoking, and those recontacted at follow-up were asked about their quitting activity. Majority of both religious groups perceived that their religion discouraged smoking (78% Muslim Malaysians and 86% Buddhist Thais) but considerably more Buddhist Thais than Muslim Malaysians perceived that their society disapproved of smoking (80% versus 25%). Among Muslim Malaysians, religious, but not societal, norms had an independent effect on quit attempts. By contrast, among the Buddhist Thais, while both normative beliefs had an independent positive effect on quit attempts, the effect was greater for societal norms. The two kinds of normative beliefs, however, were unrelated to quit success among those who tried. The findings suggest that religious norms about smoking may play a greater role than secular norms in driving behaviour change in an environment, like Malaysia where tobacco control has been relatively weak until more recently, but, in the context of a strong tobacco control environment like Thailand, secular norms about smoking become the dominant force. The research reported in this paper was supported by grants P50 CA111236 and R01 CA100362 (Roswell Park Transdisciplinary Tobacco Use Research Center) from the US National Cancer Institute, Canadian Institutes for Health Research (57897 and 79551), Thai Health Promotion Foundation and the Malaysian Ministry of Health. We would also like to acknowledge the contribution of the other members of the ITC-SEA project team. World Health Organization. International workshop on Buddhism and tobacco control.2002 07/02/11. Available from: http://www.who.int/tobacco/national_capacity/religion/en.